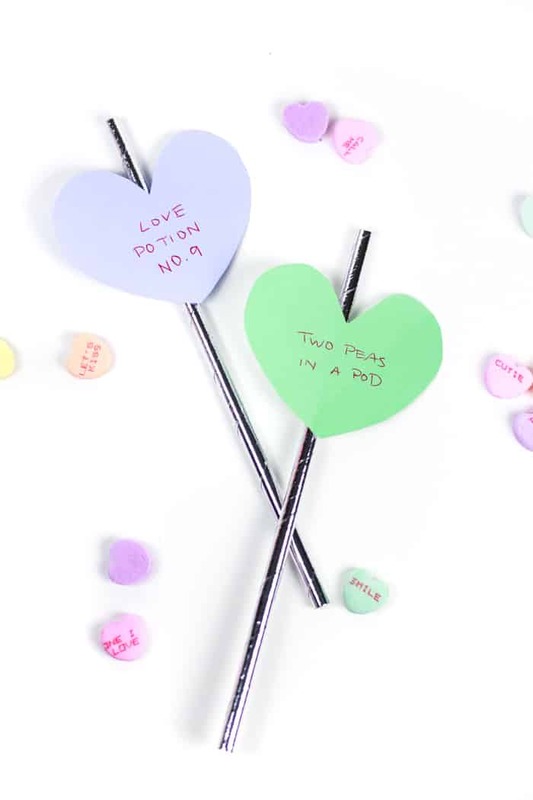 Send a message to your valentine or galentine with the cutest DIY Conversation Heart Cocktail Stirrers! These easy paper drink decorations can make a colorful statement to any beverage! 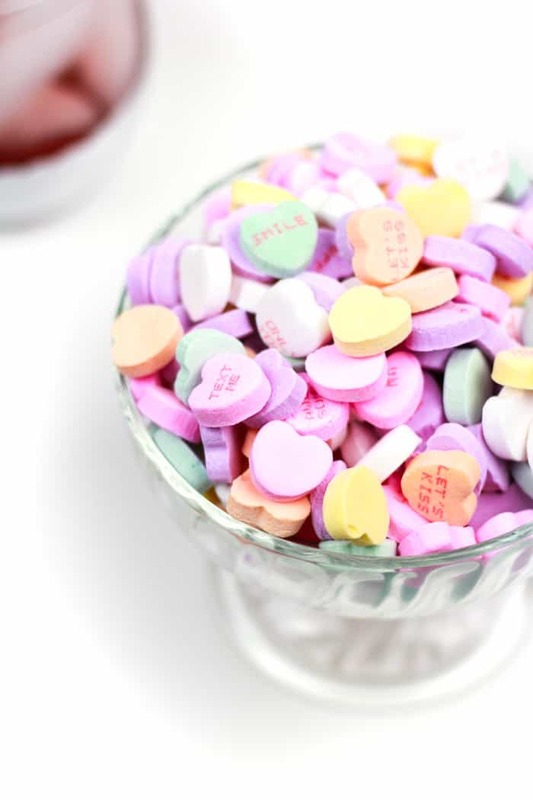 Conversation hearts: Do you love them or hate them? They’re such a divisive part of Valentine’s Day candy. Me? I’m on the fence. 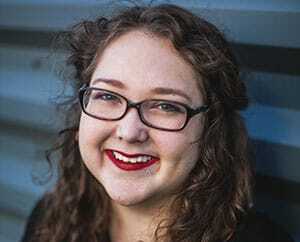 They’re chalky and super sweet, but also kind of fun. But I’d rather have chocolates! I love sifting through the silly messages, always written in bright red ink on the pastel candies. However, this year Necco isn’t making conversation hearts! 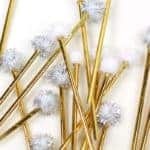 It has to do with them selling and not being able to produce enough in time for Valentine’s Day this year. Bummer right? 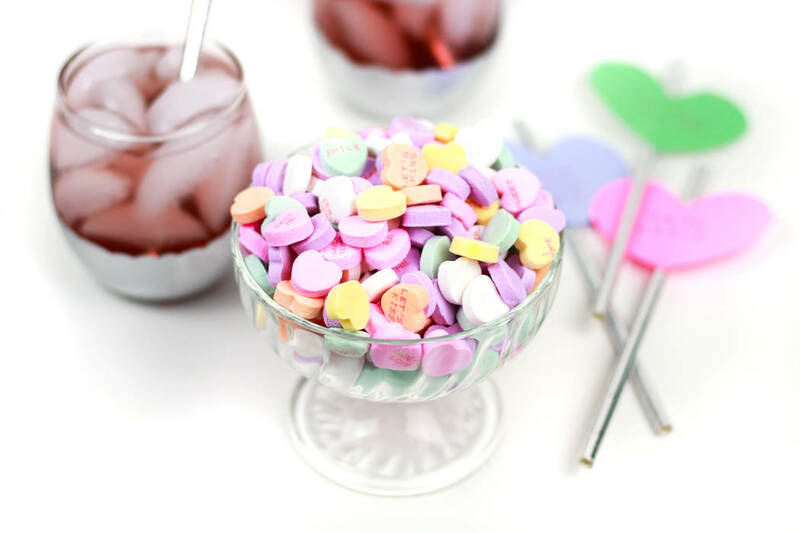 It’s been a while since I shared a DIY here, so I thought I’d take a minute to whip up something fun for all your Valentine’s Day drinks, inspired by this iconic candy. 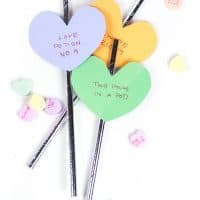 Whether you’re hosting a special meal for your sweetheart or a get-together for your galentines, everyone will love these adorable, homemade Conversation Heart Drink Stirrers. And if you’re hosting an Anti-Valentine’s Day party? 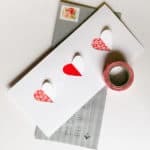 You can totally write anti-Valentine’s Day things on them. Or use black paper to make black hearts. You know, if that’s your thing. Better yet? 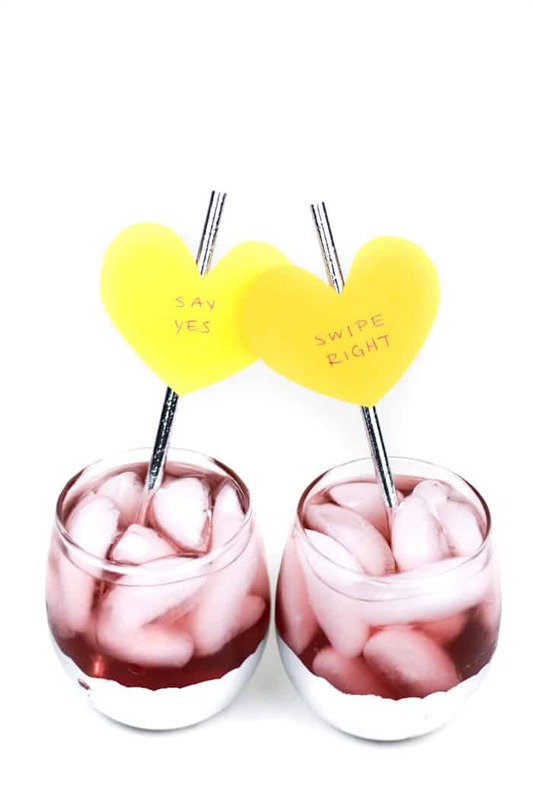 Make these Valentine’s Day drink stirrers together! So how do you make these? 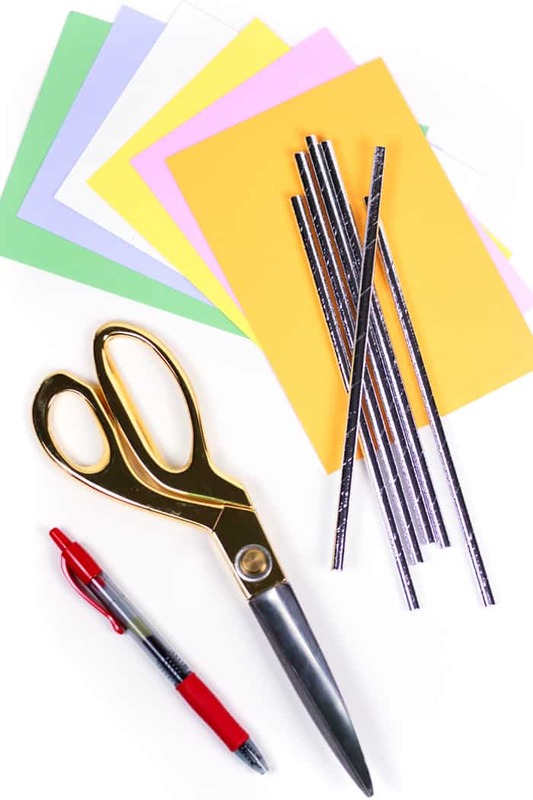 You’ll need construction paper in pastel colors, a pencil, scissors, clear tape or glue, some fun paper drinking straws and a red pen! 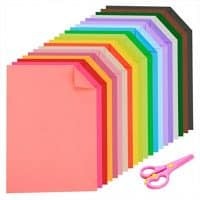 You’ll cut hearts out of the paper — about 3-4 inches wide. I recommend cutting one heart by folding a piece of paper in half, then cutting half of the heart around the fold to make a template. Then, trace the rest of the hearts so the others don’t have folds, and cut around the traces. 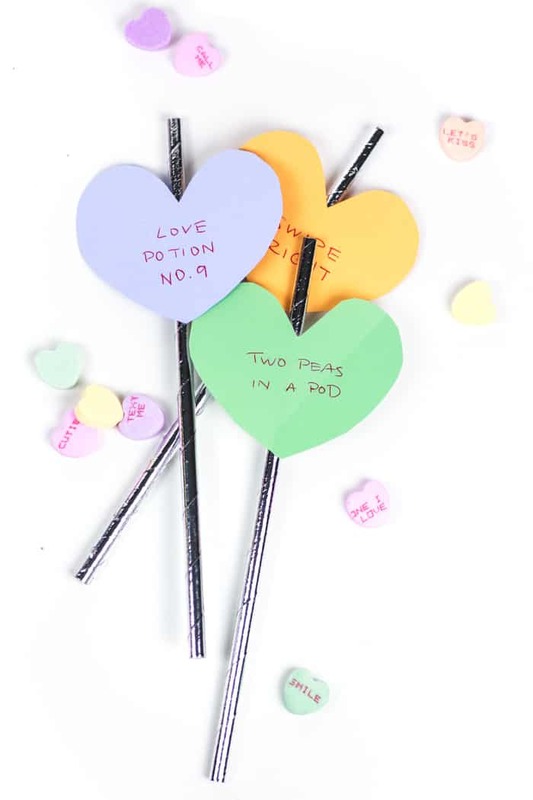 Write your messages on the hearts, then affix them to the straws. 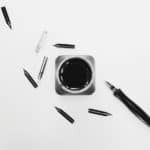 You can either adhere the center of the heart toward to the top of the straw, or if you want to be able to drink out of them, place them about 1.5 inches from the top. 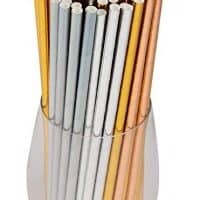 To affix them, use clear tape on the back of the straw. 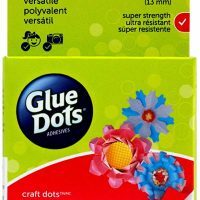 You can also use a couple dots of glue if you’d rather! I’m rather fond of these glue dots. There are tons of cute things you can write on your conversation hearts! I found this great big list of conversation hearts sayings. With a couple of hours (if that!) of paper cutting and creativity, you’ll have the cutest little drink stirrers for your Valentine’s cocktails. Made with love, of course! Try them in these Strawberry Mimosas or these Raspberry Mint Kir Royales! This is a super easy craft that will be a huge hit at a party. Your loves will love it! 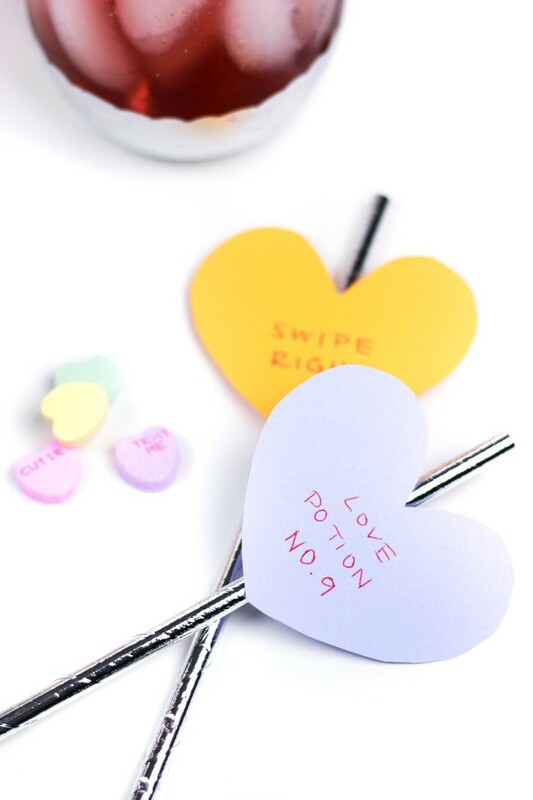 Conversation Heart Cocktail Stirrers are a cute party decoration for Valentine's Day! Let glue dry (if using). Insert into drinks and enjoy!